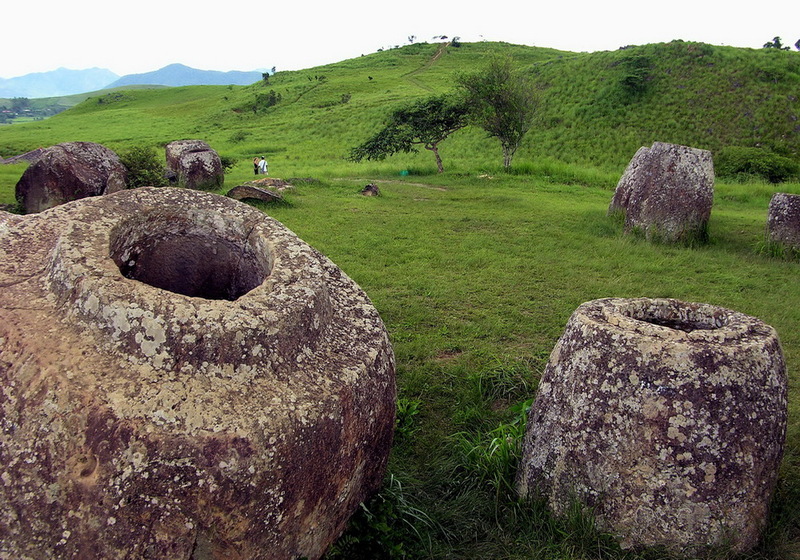 Now you will usually see adjectives such as mysterious or enigmatic preceding the name the Plain of Jars, Laos, with the reason being – since a stone jar in itself is not so mysterious – that archeologists can’t agree on their date or even their actual purpose so….enigmatic! 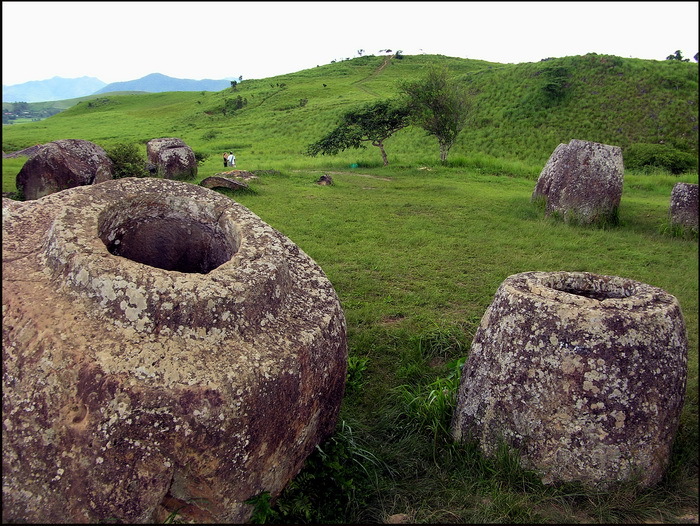 The stone jars – up to 2m tall and carved out of solid rock, (mostly limestone) – are scattered in groups across a wide flat plain in northeastern Laos in the province, and close to the town of, Phonsavan. They are thought to date from sometime between 500 BCE and 500 CE but no-one’s sure, (well some historians are sure but don’t agree with other historians), and were probably used as burial jars. Some human remains have been found in the jars though more evidence of burial actually occurs in the ground adjacent to the jars. Two main solutions have been proposed to this ‘enigma’; firstly that only important persons were buried in the actual jars and ‘commoners’ directly in the ground or that people had a kind of preliminary burials in jars whereupon the partially decomposed bodies were later reburied alongside and the jar re-used. Nice! Despite carbon and DNA tests, various digs and investigations and comparisons with other regional contemporary sites no agreement has been reached by archeologists so at present it remains….mysterious. It is certainly a highly scenic and atmospheric site, or sites rather since the jars are scattered in numerous groups around the plain or plateau. Clumps vary in numbers from a single relic to several hundred at a time. Sadly the Plain also just happens to be one of the most bombed areas in what is the most bombed country on the planet so it’s certainly nothing short of mysterious or miraculous that any jars at all survive. The flat plain is the best access route into northern Laos from northwestern Vietnam so was a major infiltration point for NVA, (North Vietnamese Army), forces heading south to support their Pathet Lao colleagues fighting the US backed Lao government and pro-US Hmong forces under General Vang Pao. 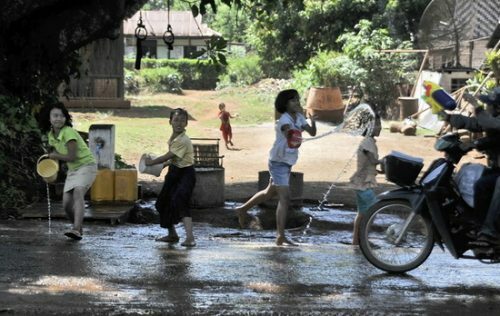 In an effort to stem the flow of NVA arms, supplies and troops the region was simply bombed to smithereens. 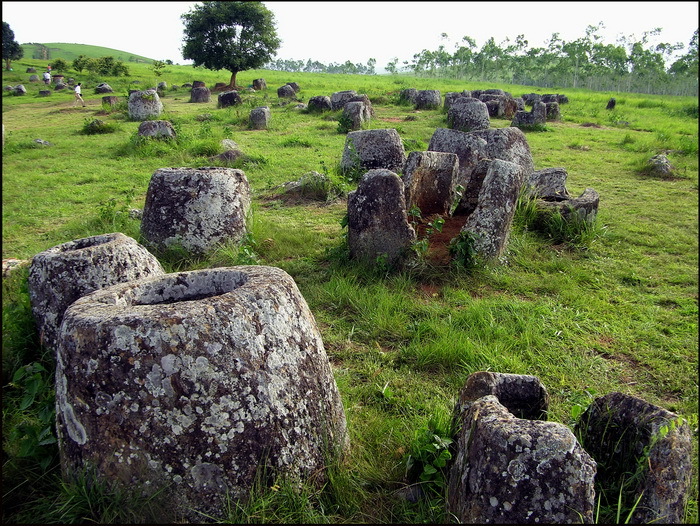 By the time the US had finished bombing there wasn’t a single building left standing in the entire Plain of Jars region! 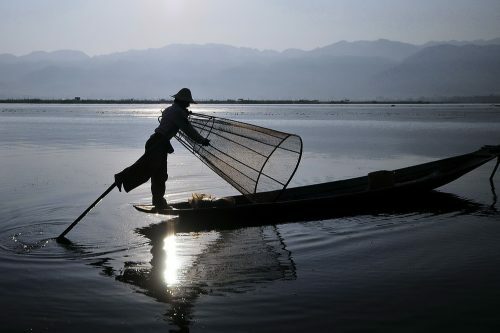 Though the resulting presence of tons of unexploded ordnance (UXOs) has created a major obstacle to Lao’s attempts to obtain UNESCO World Heritage status for the jars most of the larger and easier accessed sites have now been cleared and are conveniently visited from Phonsavan Town. How any survived the bombs is simply miraculous! We’re adding a 2 day visit to Phonsavan, a fascinating enough town in its own right, and the Plain of Jars to our Lao itineraries for 2012 including a late afternoon, dusk trip to one site on day 1 and a morning hike the next day taking in 2 more spectacular sites before a visit to the MAG, (Mines Advisory Group), office to learn about their mine and UXO clearance efforts. Should be good – cheers!